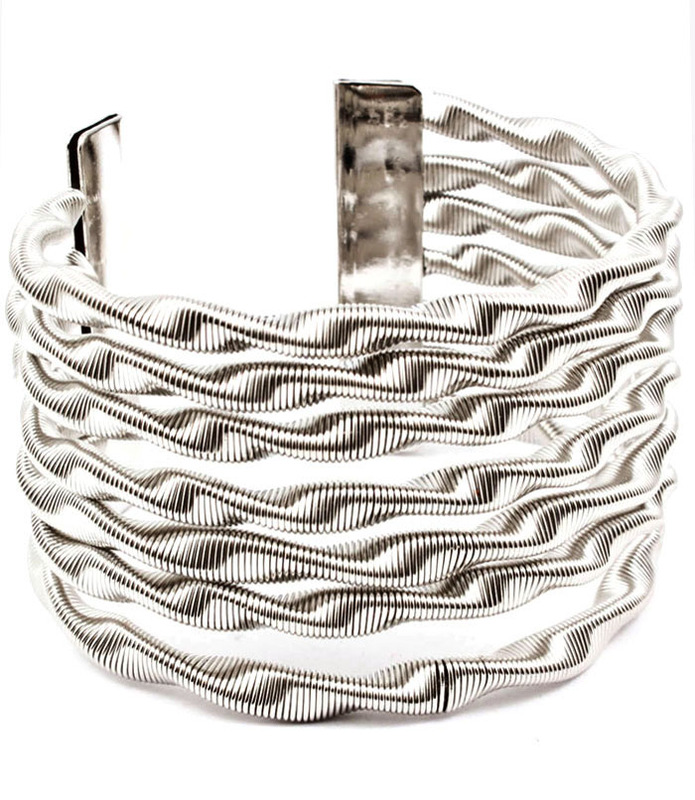 The Jayda bracelet is a rippling effect of contemporary design and bright silver on your wrist. Featuring multiple rows of solid twisted snake chain across a cuff base. A clean finish for the boardroom or ballroom. If you love fashion accessories make Oz Bling your one stop online shop for all styles, fun, formal, chic or unique!